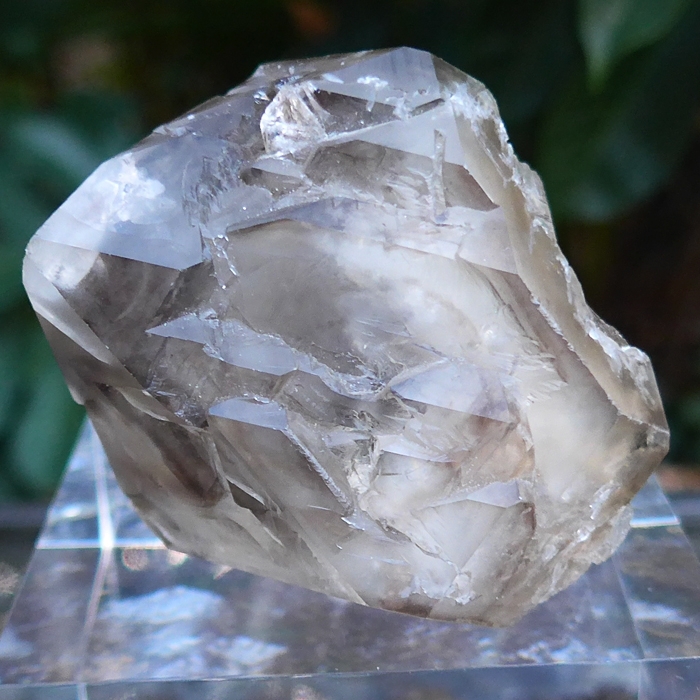 Dimensions (HxWxD): 3" x 2.25" x 2.25"
This rare, large, 7.8 ounce, 3 inch long Smoky Elestial Quartz Point from Brazil is a remarkable centerpiece for your altar, living room table or desktop, yet is still easy to hold in the hand during meditation or energy treatments. 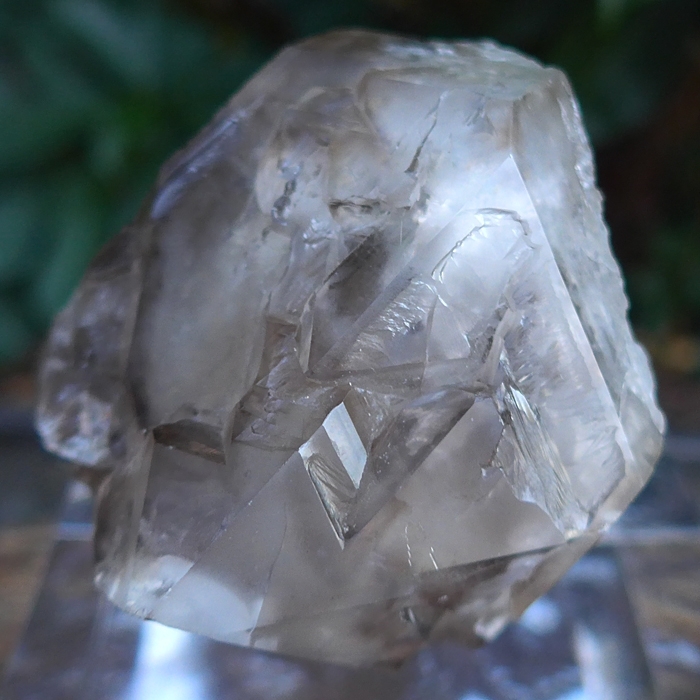 This stunning crystal cluster is wide, with multiple turreted points surrounding the termination tip, marking it as an elestial crystal, which is often used by metaphysical rockhounds in meditation to connect with the Akashic Records, spiritual guides and teachers and other sources of cosmic wisdom. Most likely this was a scepter crystal, and the narrow handle has been broken off. 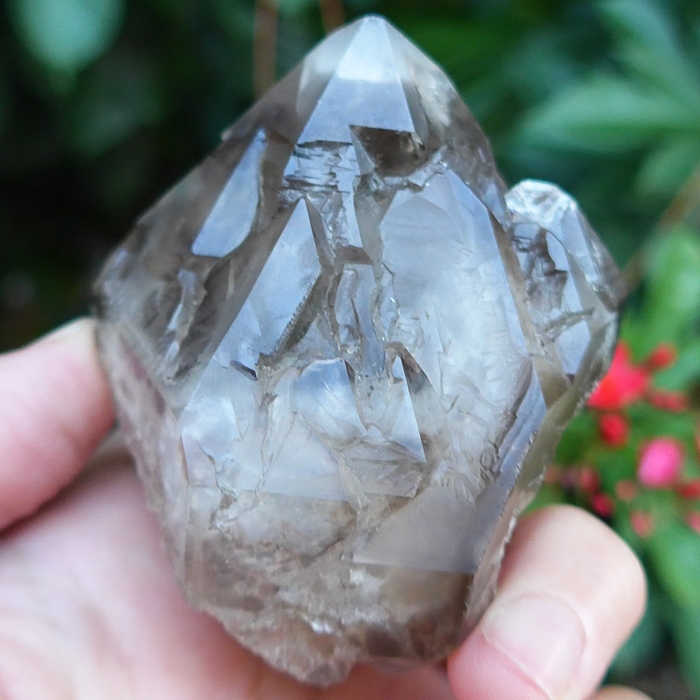 Smoky quartz gently removes emotional and mental blockages and negative energies over time. 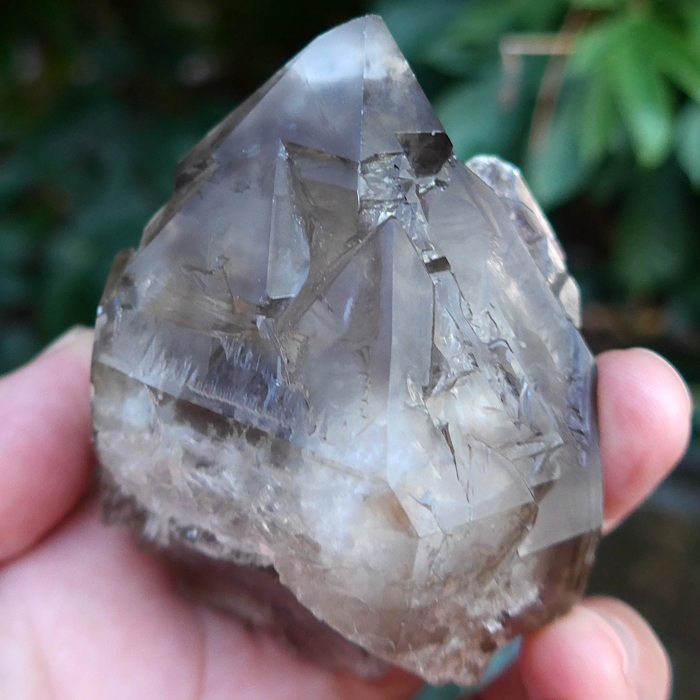 A stone of co-operation, smoky quartz promotes teamwork and unity.The unifying and cleansing energies of smoky quartz are amplified in an elestial crystal formation. Note: Weight above is shipping weight. Net weight is 7.8 oz.